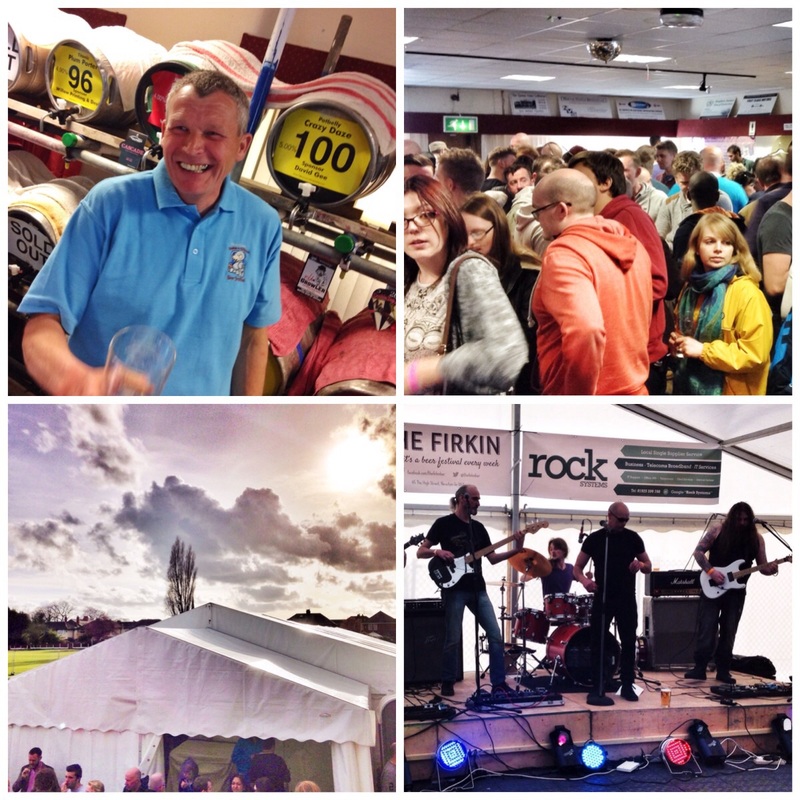 Newton-le-Willows Beer Festival has been an annual event in the local calendar for quite a few years now, and yet, despite liking my beer I’ve never really given it a serious thought. A bubble in my mind has likeable, bearded chaps with rucksacks, leaning on a makeshift bar giving marks for ‘hoppage’, aroma and citrus notes while sucking on a half pint glass of mead. The reality was somewhat different. In fairness I dare say there was a few of these hardy coves, but there was probably about another nine hundred souls, young, old and female to make up the rest. It was an uplifting experience to witness my home town community spirit in full, thriving action. As you would imagine the beer is the centrepiece of the scheme. 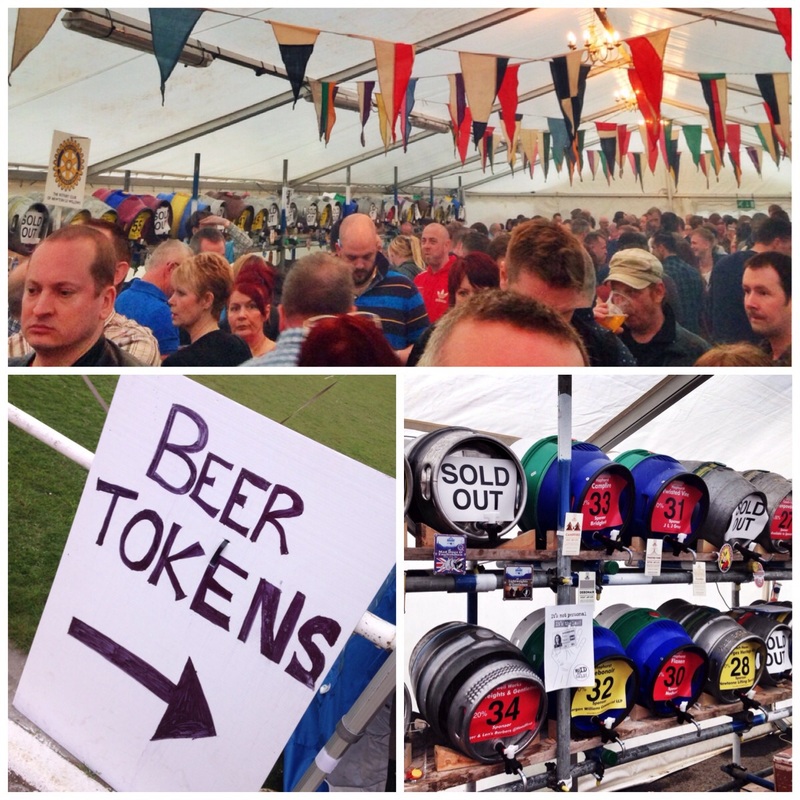 Over one hundred examples were on offer, including dark beers, stouts, pale ales, milds and some strong ciders. 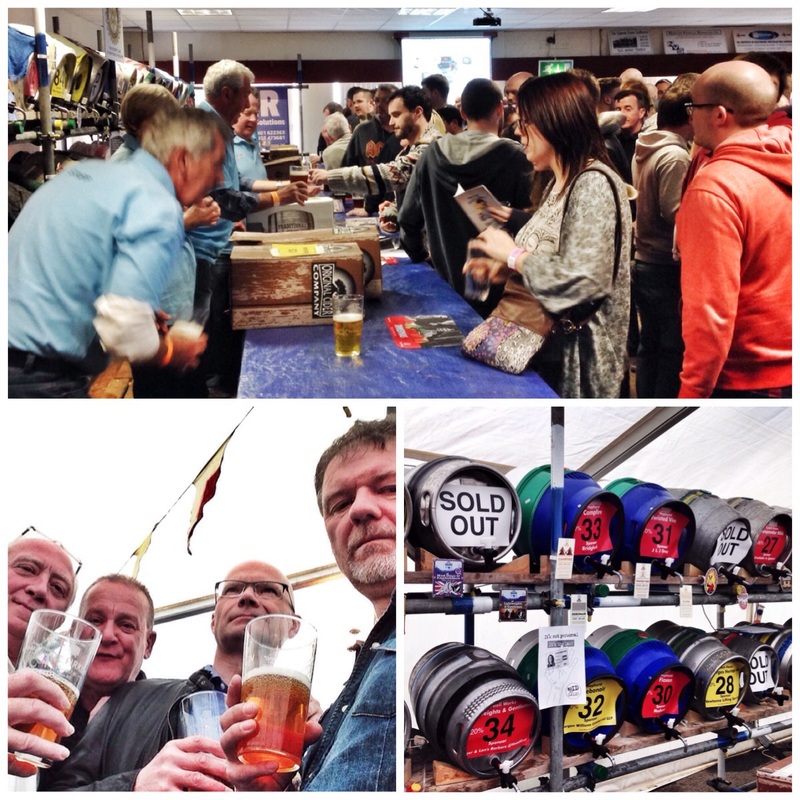 Sixty odd of them were marshalled on two rows of scaffolding in the huge outdoor marquee. 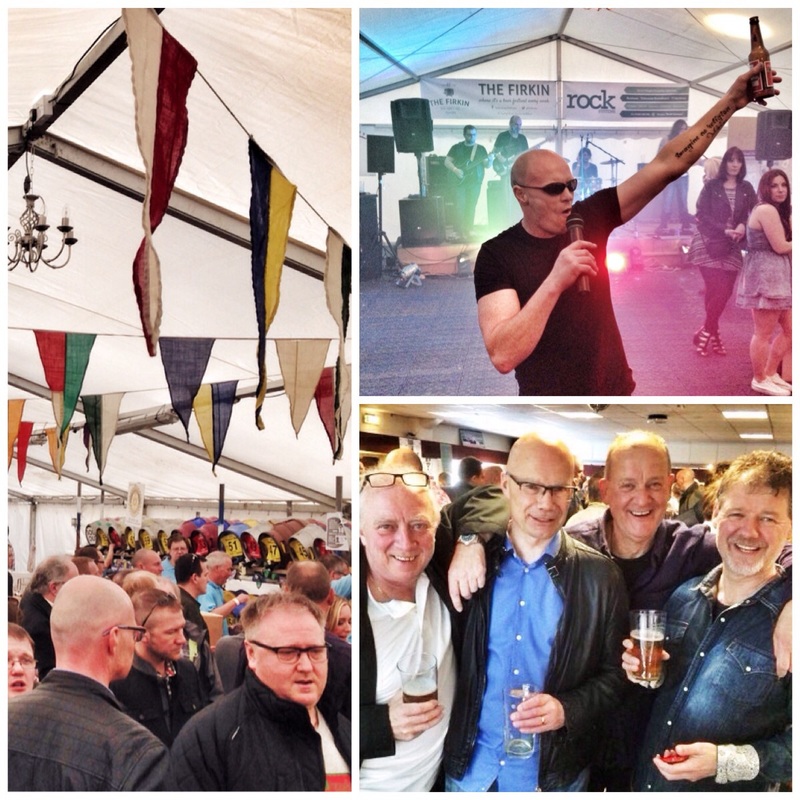 A further forty odd were set up inside the historic sports clubs main function room. 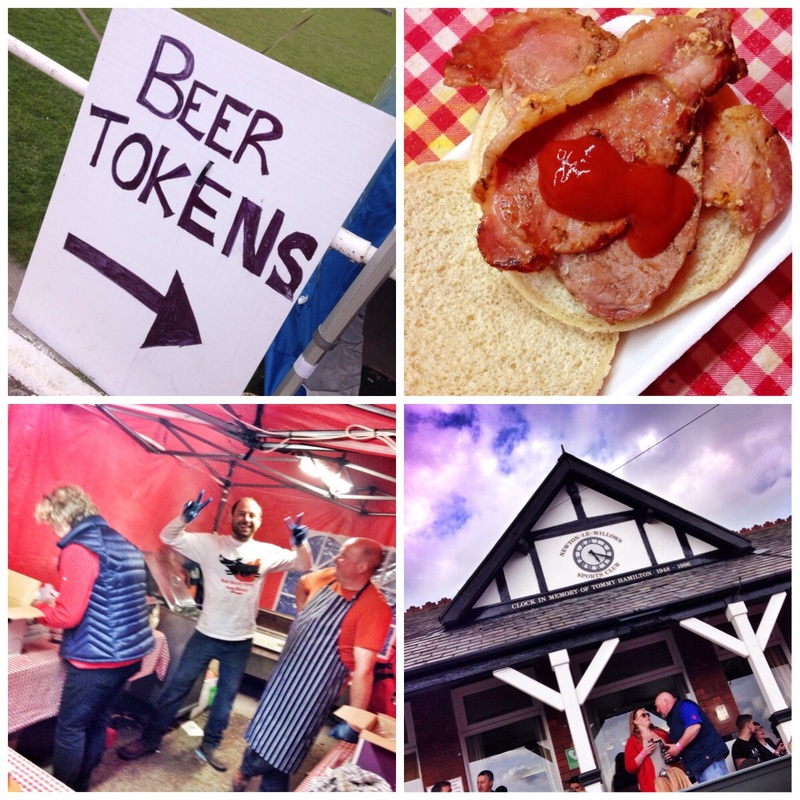 Joining the two camps were some steps, some loos and the Red Bank Farm Shop tent selling pulled pork, beef burgers and chips to help soak up the alcohol and stave off the pangs of ‘peckishness’. I went with some like minded chums. 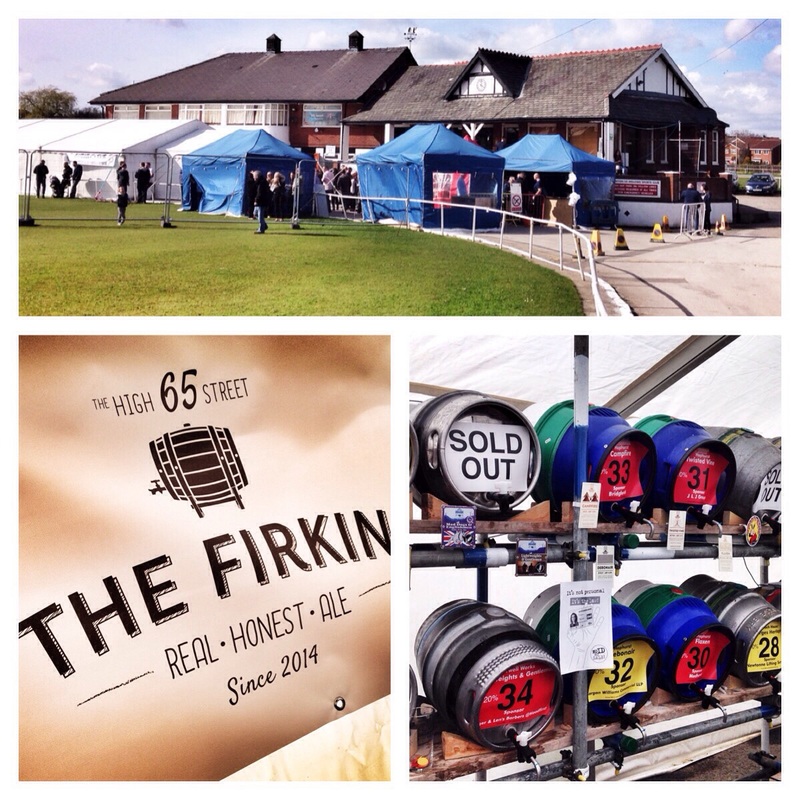 We met on the local high street mid afternoon to sample a pint from one of the sponsors ‘The Firkin Bar’. We then strolled the final lap to pay our fiver and gain access to the event via a commemorative glass and a handsome volume detailing the brews on offer. We then each swapped a tenner for our beer tokens. A fine currency constructed from discs of yellow and red plastic. Each disc was dutifully exchanged for a half of your chosen brew. If you were fortunate a plucky volunteer would struggle to shut the tap off fully and a further 1/4 pint could dribble into your glass. This never happened to me but I heard rumours of others it happened to! 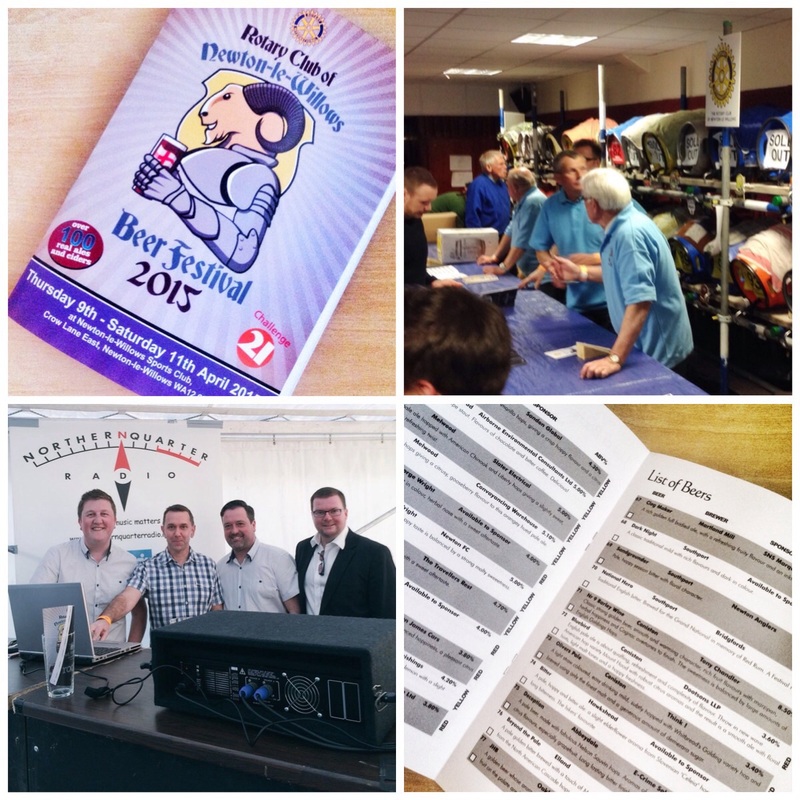 As well as the beer, The Rotary Club of Newton-le-Willows organised some live music. Local hot shots Chicken Run had entertained the throng on the Friday night. Being Saturday afternoon we happened upon a cherubic bunch of chaps called Salamander. They had a nifty knack of turning stompy old rock favourites into full blown heavy metal anthems. They went down a storm. I reckon many of the locals also thought there was a storm coming, my ears are still ringing! By 8.30 I’d spent my tenner. I’d had some Lonesome pine, a blonde witch, a citra, a campfire, a cheeky pheasant and a few others. Thankfully I missed out on my Wobbly Bob! Despite the maddening crowds in the marquee and the main hall it was brilliantly organised. The merry throng of blue shirted volunteers ensured you didn’t wait long for your next fix. The high spirited crowd performed there role with dignified drunkenness. As far as I was aware with no trouble at all. It was a superb event and one I shall be marking down in my calendar. I suggest you mark it in yours. It’s always on the same weekend as The Grand National. When you add in the fact that this is an event for charity it really does make sense. Sponsors and organisers take a bow.